If you miss seeing Michael Lee on her tour and would like your book personalized, she will send you a bookplate. This is an adhesive label with her autograph, and you can paste it into your book. 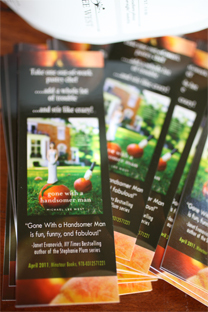 If you’d like a FREE bookmarks and/or bookplate, send a self-addressed, stamped envelope (SASE). Include a note explaining how many bookplates you want and how you’d like them inscribed.